My book, Veterinary Secrets, has been out for about a month, receiving a pile of positive reviews. Now there are 50 reviews on Amazon, with the average being 5 STARS. If you are one of those reviewers, well Thank You!! 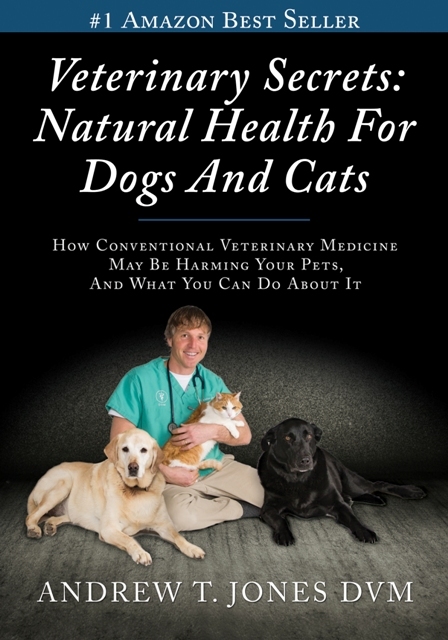 Feedback from pet parents not on my email list has been that they *really* like the book, are surprised by how much helpful information is in it, but they don’t realize that it is primarily a manual of natural health for dogs and cats by looking at the cover. SO I have decided to modify the title/cover. P.S. Here is the review that Amazon considers the most helpful.. This book is fabulous. Just what I was looking for. It is easy to read & understand & I love Andrew’s knowledge about science & natural remedies. I use only natural remedies for myself for things that come up in my life & am a vegan. Many years ago I had a horse farm. I boarded & trained saddle, show & race horses. The vet bills were too high & I was frustrated, so I started learning about natural remedies for the horses. They worked so well that when my vet called & asked why she wasn’t called to treat the horses, I told her that I was using natural remedies & all problems with the horses were relieved with the remedies I used. I would tell my boarders that when a problem with a horse arose that they had a choice. I would call a vet if they wanted to go that way, or I would go to a health food store & try a remedy. In every case the problem was solved quickly & just a fraction of the cost of vet bills. I apply this same thing to my small pets. along with a fabulous diet, plenty of fresh air, exercise, filtered water, supplements, natural remedies, lots of quality time spent together & love.. I have very few problems come up & if they do, I treat it immediately with different modes of natural healing. My toy poodle has her own chiropractor & loves to see everyone at the chiropractors’ office. I would recommend this book to all pet owners. I believe wholeheartedly in what Andrew Jones is doing. I support him by sharing his posts on Facebook & applaud his courage in the face of a sick system. The AVA has become just as corrupt as the AMA, which does not surprise me at all. Many people are being blessed by his work & being true to his conscience. I know that God is leading him & he is listening to divine guidance as I did in using natural remedies. P.P.S. I am curious as to what you think about the new title/cover? I’ve been using the Cat Supplement of Dr. Jones now for several years and LOVE IT! I refer it to all my clients and friends. I was thrilled to receive the book and even gave some advise from the book to a friend who had an ailing cat. The holistic remedies are the best! I would highly recommend anyone with animals to get a copy of this book for their library. It’s my first ‘go-to’ book that I reach for when any of my animals feel off balance. I agree with what you have said- it needs to say what it is! I’ve been doing the online course that Dr. Jones offers for sometime now and find it very useful when caring for my four legged companions. 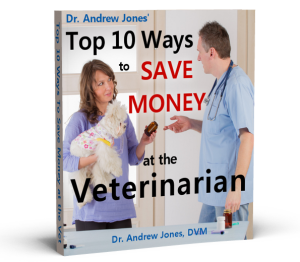 I heard about and bought Andrew’s newest book for myself and a copy for my friend, who struggles to provide proper veterinary care for her four legged companion, also enrolling her in the same course that I am doing. Both my friend and I find the information contained in the book to be concise and extremely helpful when facing a problem that our companions are suffering. It greatly cuts down on unnecessary veterinary bills, and offers practical advice on how we can help our companions with products we already have. I highly recommend Dr Andrew Jone’s latest book. Old title, New title, It’s all good. The new title of your book is great and allows people to know what it contains immediately. May it go from success to even greater success! Great idea, love the title it says just what it is. The new title is much better! I like that it is more descriptive and give as a better idea of what is inside. The new cover design is a tremendous improvement — much more attractive, easier to read, and makes you feel more approachable as someone to listen to.